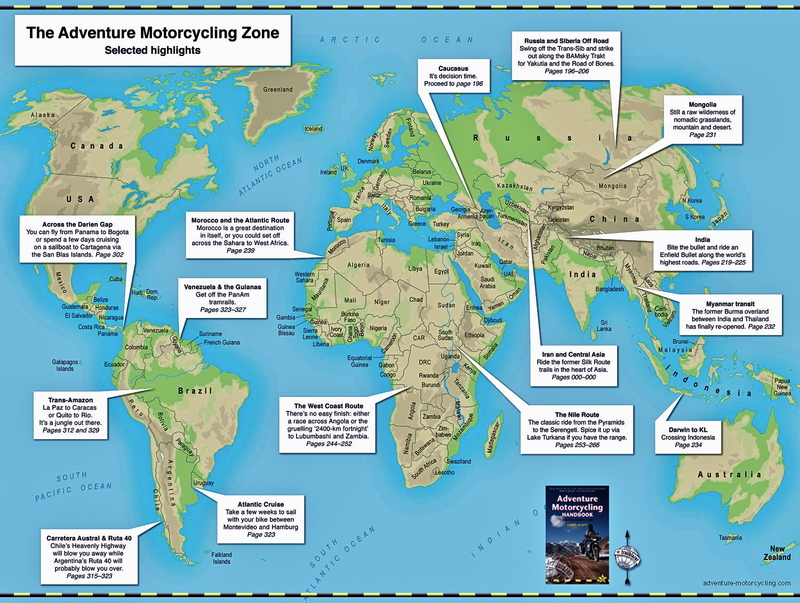 In my search for an optimal 400-450-engined travel bike that isn’t a CCM450 I remembered the Honda CB400 SS grey imports I’d seen on ebay. These Japan-only SOHC 400cc singles from the Noughties (about 2002-2009) look very similar to the Chinese Shineray-built 400 retros (branded ‘Mash’ in the UK) which I rode a couple of weeks ago and which go new in the UK for around £4000. Even more than the Chinese versions, the CB SS really is 70s or 80s technology, right down to a carb. 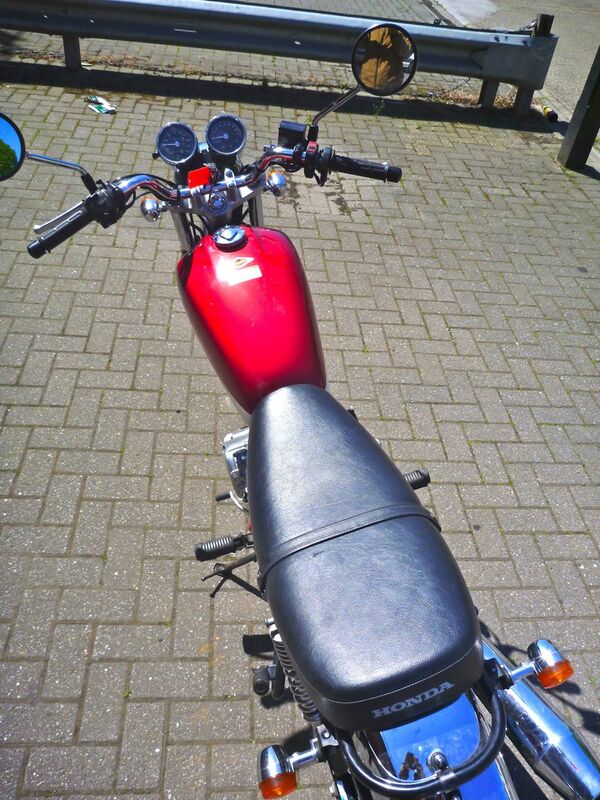 It too has a pleasing retro look and low seat that someone new to a full license might like. But are they worth from £3200 upwards? I nipped over to the shop in west London that sells all sorts of exotic Japanese stuff, including several CB400s for a closer look. As you may have read, the CB’s engine is a version of the XBR500 we got here in the late 80s – an unusual kick and electric motor that made 43hp. With time and money to spare that might be a motor worth sticking into a trail bike frame. 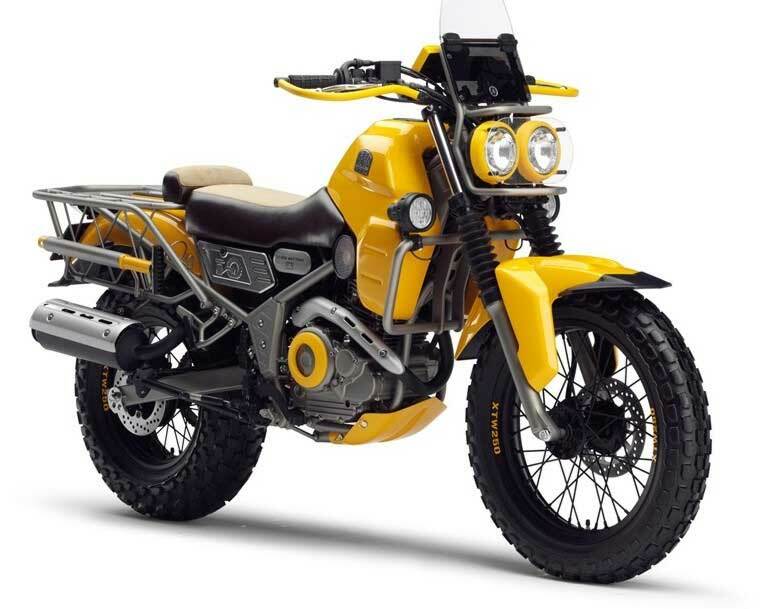 Why not just get an XR600-650? The subframes are too skinny for travel loads. Meanwhile, the 400SS makes a claimed 29hp, the same as claimed by the newer, injected Chinese versions. 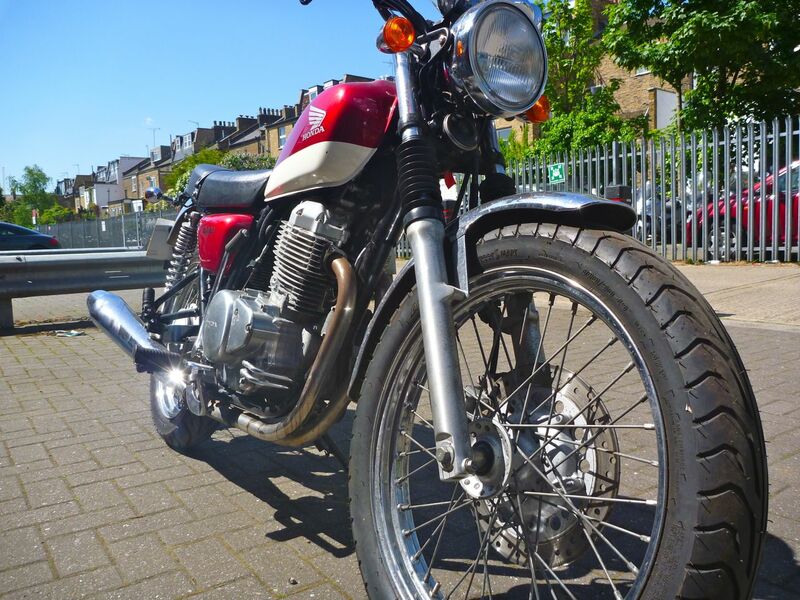 I was hoping to see if the 8-year old Jap original might have more poke than the near-new Mash I tried but instead of a burn up along the Westway to Perivale I was limited to a 2nd-gear run alongside the railway arches – my progress further hampered by speed bumps. It’s hard to be certain but even then I did detect a bit more pull from the Honda than I recalled from the Chinese-made Mash. Other differences on the CB include a better operating front brake, a smaller tank, a box-section swingarm and – from the exterior castings at least – a different motor. But like the Chinese-built bikes, they’re just asking too much for these decade-old CBs. My red example had just had about £500 dropped from the price down to £3200, but here and elsewhere in the UK they’re asking around £3800 – nearly the same as the new Shinerays which themselves aren’t bargains. I got the feeling these CB400SSs weren’t exactly flying out the door, nor would I expect them to. Look at my 2009 ABS Versys bought for effectively £2100. So while I’m still not sure about the Chinese bikes, at current prices and with locally available XR400s, the CB400SS is not a contender, even if it does have the benefits of native Japanese engineering. 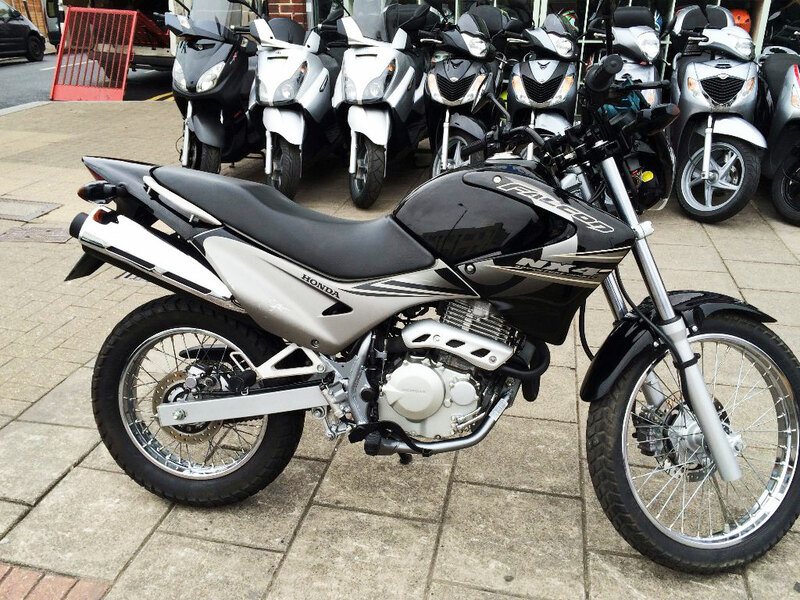 Other 400-cc bikes in the similar category include the more modern, Brazilian made Honda NX4 Falcon (left). They do pop up occasionally in the UK dealers going from between £2200 and an optimistic £3700. 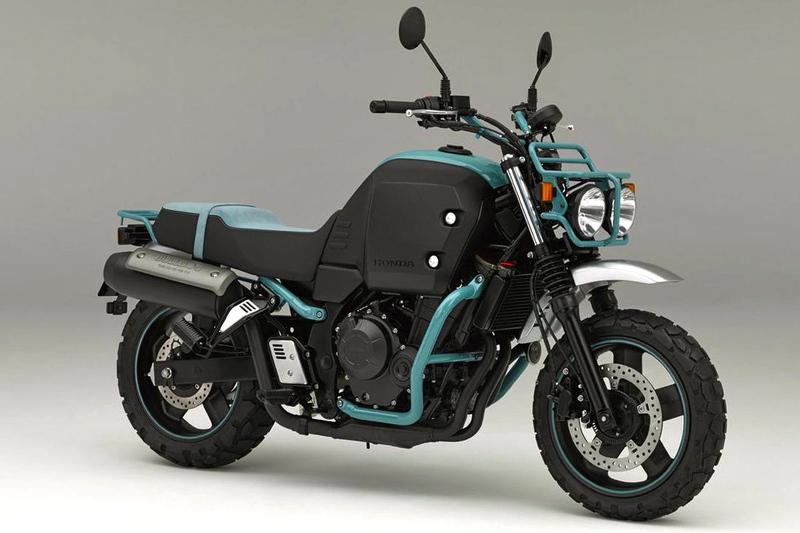 Or how about the Honda Bulldog 400 – only a concept and likely to stay that way, just like the 250 Ryoku Yamaha from a couple of years back. That’s a down-sized CB500 twin engine, in case you’re wondering. Round and round it goes. This entry was posted in AMH News, Project Bikes and tagged Honda Bulldog 400, Honda CB400SS, Honda NX4 Falcon, Mash 400 Roadstar, WK 400 Trail. Bookmark the permalink.